"Senior US intelligence leaders are starting to doubt whether ‘experts’ are the best forecasters of emerging risks. Regina Joseph, however, has other culprits in mind. Familiar cultural and bureaucratic obstacles may be more to blame for the foresight training and analysis problems intelligence agencies face today." The aim of intelligence analysis is straightforward enough: to foresee emerging threats to the extent that one can prepare sufficiently in advance to either prevent or at least mitigate them. Research lies at the core of this enterprise in forecasting risk, whether via classified or unclassified data. But at a time when open source information is exponentially increasing in direct proportion to levels of uncertainty, how such foresight is conducted and by whom has become a key concern. In 2011, the US government took a bold step in attempting to address those concerns. The Intelligence Advanced Research Projects Activity (or IARPA, a division of the Office of the Director of National intelligence) invested in a four-year exploration of the underpinnings of better foresight analysis. Known as the Aggregative Contingent Estimation (ACE) program, the initiative used a tournament originally consisting of five teams of forecasters to determine which individuals were most adept at forecasting future geopolitical outcomes and which traits shaped the best. Investigators and observers alike were surprised by the tournament’s results. While the harnessing and development of expertise has become the default sine qua non of what is considered to be good analysis, there was a time when this was not necessarily supported by the entire US intelligence community. During the 1980s and 1990s, key analysts argued against the use of experts as the sole guide to good analytical ability. In his lauded collection of essays and articles in Psychology of Intelligence Analysis , CIA analyst Richards J. Heuer, Jr. suggested that expertise alone is simply not enough. Influenced by Nobel laureate Daniel Kahneman’s and Amos Tversky’s investigations into human psychology and decision-making (summarized in Kahneman’s modern classic, “ Thinking Fast and Slow”), Heuer, Jr. proclaimed process in critical thinking as a better catalyst in analytical performance. Heuer’s focus on cognitive style - a departure from academic and government thinking at the time - established a few clear boundaries. He believed, for instance, that training analysts to recognize their own cognitive biases had no positive impact in the accuracy of their foresight. In addition, Heuer, Jr. argued against placing an emphasis on analytical accountability. As he saw it, measuring analytical precision was a foolhardy pursuit due to the fog of uncertainty surrounding geopolitical affairs. His larger message instead emphasized the constant challenging of analytical assumptions—the “mental models” analysts developed (Heuer 1999)—by updating and refining through the use of alternative points of view. Unfortunately, Heuer’s advice to avoid the trap of relying upon “more and better information” as an analytical solution was not always heeded by the intelligence community. Indeed, in his foreword to Heuer’s book , fellow CIA analyst Douglas MacEachin highlights the default tendency to throw more expertise at a problem when analysis goes wrong, as well as “the ideological and bureaucratic imperatives” that get in the way of more effective analytical techniques. Fast forward to today, and the echoes of Heuer’s work reverberate as strongly in the practical realm as in the theoretical. In early 2015, the US intelligence community communicated its awareness that it could no longer conduct business as usual. At the beginning of March, CIA Director John Brennan announced a major restructuring of the Agency. A greater emphasis is to be placed on enhancing the skills of CIA staff by breaking down the walls between “operations” and “analysis”. Prior to Brennan’s announcement, Jane Harman, CEO of the Woodrow Wilson International Center for Scholars and a former ranking Democrat on the US House Intelligence Committee, echoed the need for a "disruptive upgrade" and "smarter spying”. In several articles, she also highlighted the importance of developing a cyber-ready corps with open source media (especially social media) expertise. Adding to the burgeoning chorus of demands for improved intelligence analytical skills is the 9/11 Review Commission’s most recent report to FBI Director James B. Comey. In keeping with comments made by Brennan and Harman, it also urges the agency to accelerate its efforts in adapting its intelligence cadre to the increasing pace of threats. Indeed, Heuer’s important message now requires further review, given the amount of empirical data that has been gathered by researchers in recent years. This data has, in turn, been the key output of the winner of IARPA’s ACE tournament, the Good Judgment Project. Led by principal investigators Philip Tetlock and Barbara Mellers at University of Pennsylvania, and Don Moore at University of California, Berkeley, the Project took cues from Tetlock’s own work, Expert Political Judgment: How Good Is It? How Can We Know? Like Heuer, Tetlock eschewed the validity of experts as the best forecasters. However, unlike Heuer, Tetlock based his assessment on a clinical evaluation of the accuracy of thousands of forecasts made by experts and generalists alike. Tetlock’s examination suggested that open-minded generalists could be far better than experts in analyzing and predicting outcomes. As recognized specialists in the fields of political judgment and decision-making, the Good Judgment team focused on—among other issues—the psychological qualities of perception and cognition apparent in the top analysts. Aided only by open source data, Good Judgment forecasters were able to surpass the forecasting accuracy of intelligence community analysts with access to classified information , thus substantiating Tetlock’s theory regarding the predominance of select generalists over experts. But perhaps most germane to both public and private sector needs in light of mounting uncertainty was the determination that forecasting accuracy is a trainable skill. While the data collected by the Good Judgment Project supports Heuer’s primary assertion that the constant challenging of beliefs is an integral aspect of more accurate analysis, it also refutes his aversion to cognitive de-biasing and analytical accountability. The core results from The Good Judgment Project—train, team and track for better analytical training—demonstrate the statistically significant effect on forecasting accuracy achieved by teaching people how to recognize and limit their cognitive biases; gain awareness over the potential gap in confidence over what they think they know and what they actually know; how to think in an actively open-minded manner; and how to apply probabilities in a very granular way when assessing outcomes. 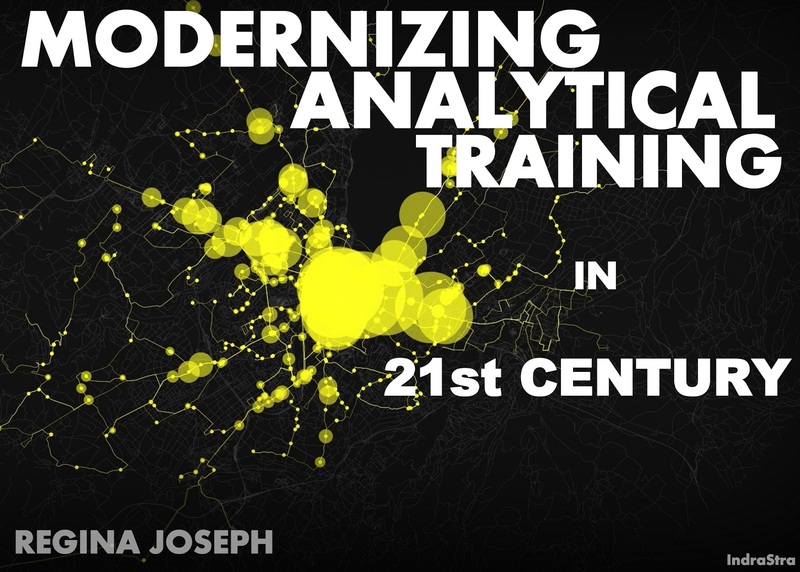 However, the gains made from training analysts in cognitive technique are not enough. The Good Judgment Project urges keeping analysts accountable by tracking their performance over time and teaming the best forecasters with each other to compound the effects of greater accuracy. Taken together, the results of the Good Judgment Project surpass the contrarian formidability of Heuer’s work and point the way forward in measurably improving analytical technique and preparing a new generation of analysts, whether in business, the intelligence community or other government departments. The final outcome of the ACE Program poses an obvious question: how could the success of the Good Judgment Project be factored into the modernization and improvement of 21st century intelligence analysis? With great difficulty is the short answer. Irrespective of the CIA’s recent announcement, the transition to new analytical standards will require time and patience, as well as new training and development programs. Analysts are rarely required to step back from their niche remits to take the broader and actively open-minded views that are foundational to better accuracy. Consequently, intelligence operatives are not taught how to develop this attribute. Moreover, stovepiping and the compartmentalization of analysis—impediments to the kind of crowdsourced teamwork from which Good Judgment’s most accurate forecasters benefited--won’t be easily reduced, whether in government or business circles. And let’s not forget that the politics of hierarchy also plays a role. When experts within bureaucracies serve vested interests, their replacement by process happens fitfully, if at all. Entrenched cultures aren’t the only barriers that need breaking down in order to reform analytical structures. The vast stores of open source information that analysts must sift through will require better aggregation and filtering if this revolution in analytical affairs is to succeed. While machine learning, artificial intelligence and natural language processing methods are quickly ramping up to semantically trawl the zettabytes-worth of data the Internet contains, they have yet to be incorporated into a usable and widely distributed tool for analysts. Over time, as dependency on algorithms in forecasting risk increases, accountability will dictate putting human analysts at the front and center as a counterbalance to the limitations of computation alone. The first quarter of 2015 could represent a watershed moment in history when the intelligence community acknowledged the need for a sea change in analytical approaches and a swift transition. While the recognition that change must come has arrived, the execution of its transition is far less assured. Regina Joseph is the founder of Sibylink, an international consultancy based in The Hague and New York devoted to providing strategic foresight on global issues through futures forecasting and analytical training. A Good Judgment Superforecaster, she is also the co-founder of Super-Powered, which produces analytical media. She is also a faculty member at New York University’s Center for Global Affairs, where she will be launching a Futures Lab in Fall 2015.